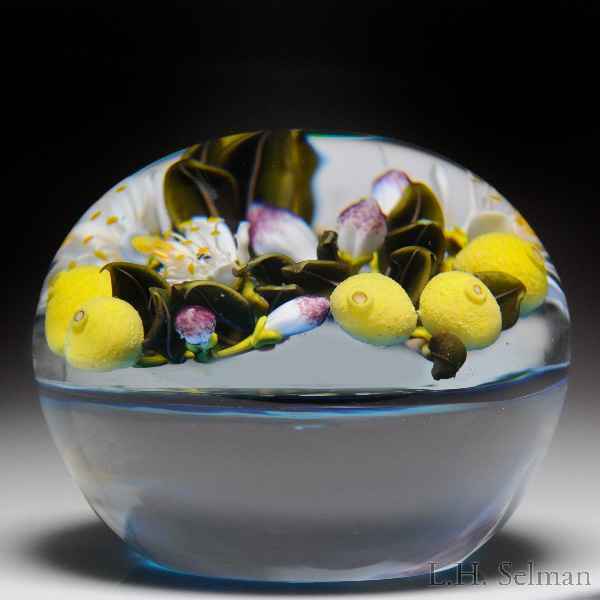 David Graeber 2017 lemon and blossom branch paperweight. Five juicy yellow lemons mature alongside furling dark green leaves, white blossoms and pink-tipped buds. The curving lemon branch floats gingerly above a translucent blue ground. Signature/date cane. Diameter 3 1/4”.